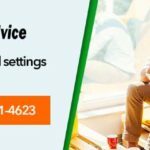 Home » How to Fix Sage 50 Installation Error 1935 When Installing Sage 50? How to Fix Sage 50 Installation Error 1935 When Installing Sage 50? What is Sage 50 Error 1935? Going to control panel and opening Programs and Features. There you can select the software and click on Uninstall. Open Start Menu and click Run or directly press windows + R.
Select all the files by dragging the cursor or by pressing CTRL + A. Now right click the files and hit delete or directly press Shift + Delete. Do this for programs like WebSearch, HP Component Manager, System Mechanic and so on as these are known for interfering with the installation of other programs. 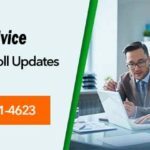 Sometimes the installation files of Sage accounting software are damaged due to incomplete download or some other reasons. Whatever may be the reason, to resolve this issue you will need to download the same version of Sage that you bought from the CD or their website. After downloading the appropriate installation files, you will be able to install Sage on your system without this error. Anti virus programs are known to interfere with the installation of software’s. Many a times these software’s quarantine the installation files which leads to an error. To stop this from happening you can add the sage 50 installation files as exception. You can even uninstall your antivirus program. To know more you should contact your third party service provider for antivirus. If updates are available then Install Updates. This will make sure that there is no hindrance in installing the accounting software due to problems with windows update. There might be a problem with the library of this Framework that is used by many installation wizards. Make sure you have at least .NET Framework version 4.0 or above for windows XP and version 4.5 or above for Windows vista, windows 7, 8, 8.1 and 10. You can download the latest versions of this framework from here. Following the above methods can resolve Sage 50 installation error code 1935. This error is easily resolved, if you can identify what the root cause of the error is. You can also do all of the above, if you are not being able to identify the cause of Sage 50 Error code 1935. Sage software users very frequently come across Error 1935, which signifies as the Sage 50 installation error. There are many reasons for the occurrence of the error such as windows update, damaged installation files, antivirus programs etc. After following the recommended steps for resolution if the error still continues you can seek for Sage support contact. 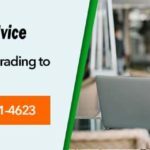 You can also opt for www.accountingadvice.co, and connect with the sage experts via the sage accounting support number 844-871-6289. 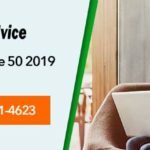 Previous post: How to fix Sage 50 Error Code 1046?